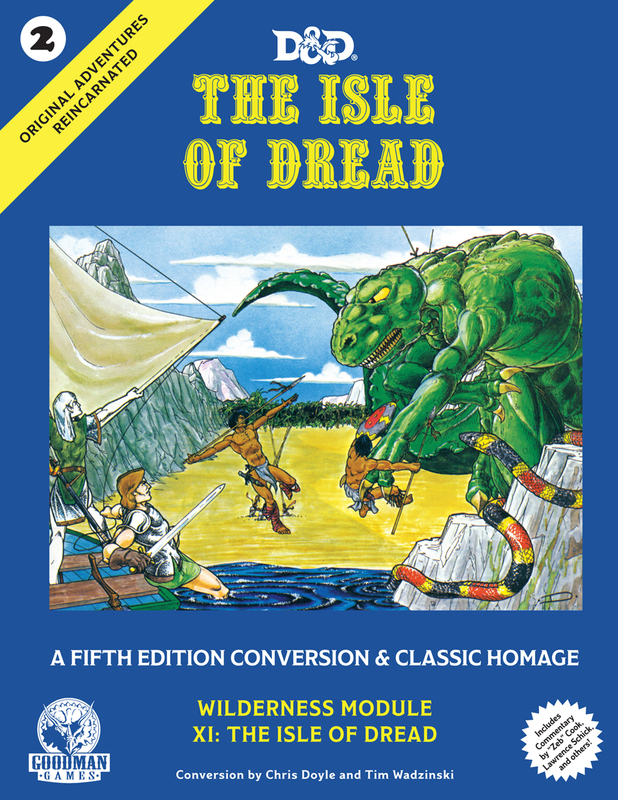 If you’re a fan of DCC then you are probably aware of Appendix N, the bibliography of inspirational works that inspired the game. What fewer fans know is that most of the works in Appendix N were first published not as books, but as serialized fiction in the pulps of the early 20th century. Robert E. Howard, H.P. 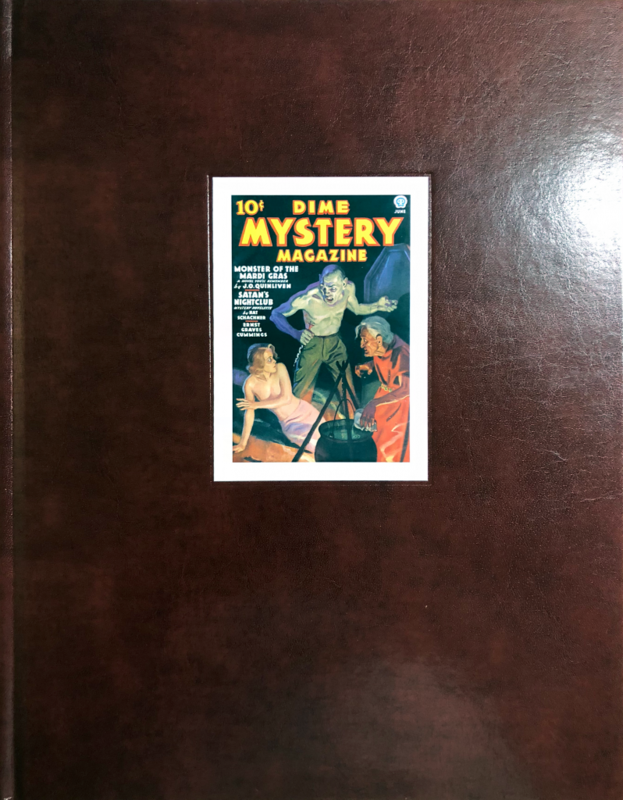 Lovecraft, Fritz Leiber, Edgar Rice Burroughs, Abraham Merritt, Michael Moorcock, Jack Vance, Jack Williamson, and many of the other “greats” of Appendix N began their careers in the pulps. The pulp magazines of the early 20th century exhibited a style of art which is rarely seen in our modern era. The vivid, brightly-colored cover paintings were garish and lurid, filled with strong, saturated tones. 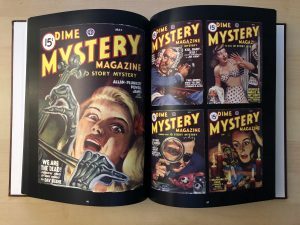 Unlike modern digital art, these pulp covers weren’t designed to be seen with an illuminated backlight (i.e. the computer monitor, which some would say is the bane of modern illustration). 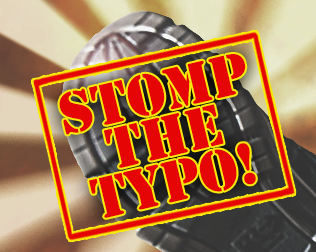 Rather they were designed to stand out on a newsstand crowded with competing publications. Bright colors, bold imagery, action poses, and beautiful women were the name of the game. Although pulp art has long faded, the influence of its style continues to this day. 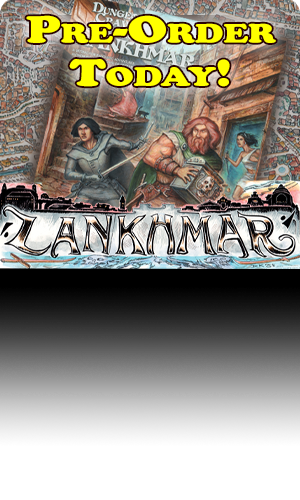 DCC RPG takes pulp art as one of its inspirations, filtered to some degree through more modern incarnations. The covers to Savage Sword of Conan and other magazine-style comic art publications of the 1970’s are modern examples of pulp-inspired art. That comic-magazine format was in part designed to evade the censors of the Comics Code, and Marvel’s work on Savage Sword was influenced by pioneering publishers who came before. One such publisher was James Warren, whose 1970’s comics-magazine publications Eerie, Creepy, and Vampirella owe a creative debt to the pulps. Prior to both Savage Sword of Conan and Warren was, of course, William Gaines and his legendary EC Comics, which published comic art that has remained in print to this day, and whose graphic sense traces directly back to the era of the pulps. 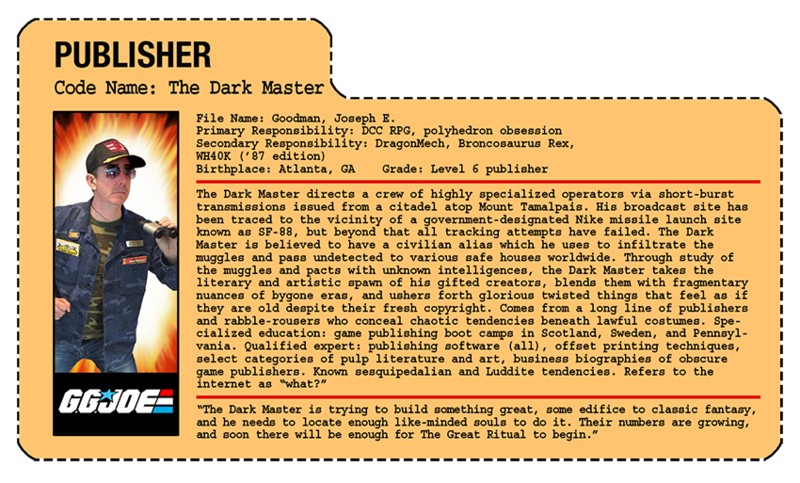 The pulps and their modern provenance are direct influences on the artistic vision of DCC RPG. 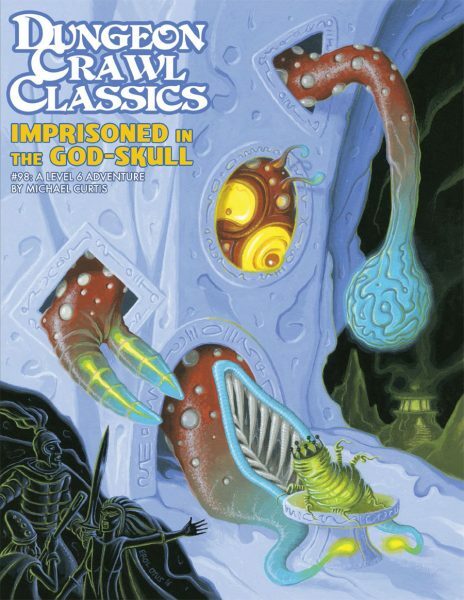 If you enjoy the art of DCC RPG, we believe you will also enjoy the art of the pulps. And thus we present a rather odd set of items in our online store today. Amidst the niche-within-a-niche publishing space that we occupy, we have great respect for a small Canadian published called Girasol Publishing. Although Girasol is now out of business, we were able to buy out the last remaining copies of their Pulp Cover Gallery series. 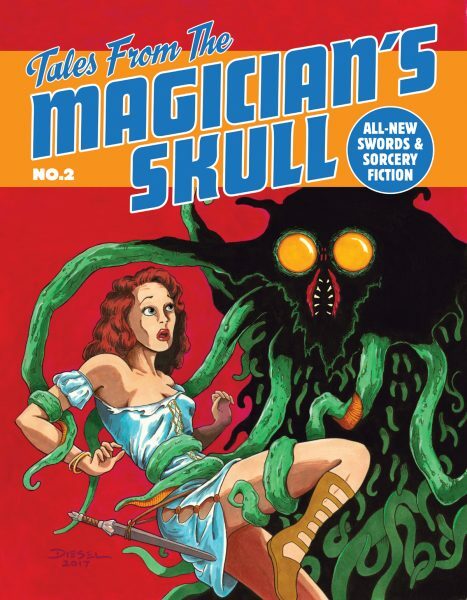 This series is extraordinary in its depiction of pulp art. 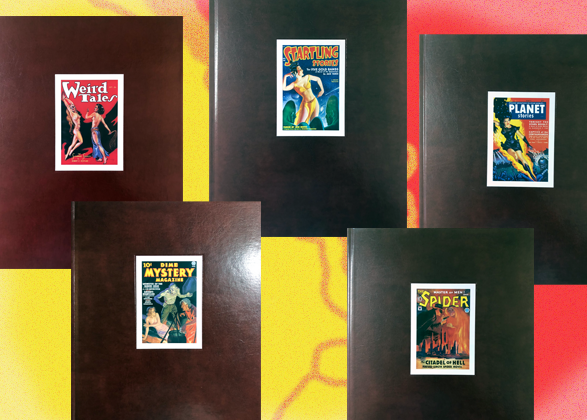 It is also extraordinary in price, since the full-color books were hand-bound in premium leather. 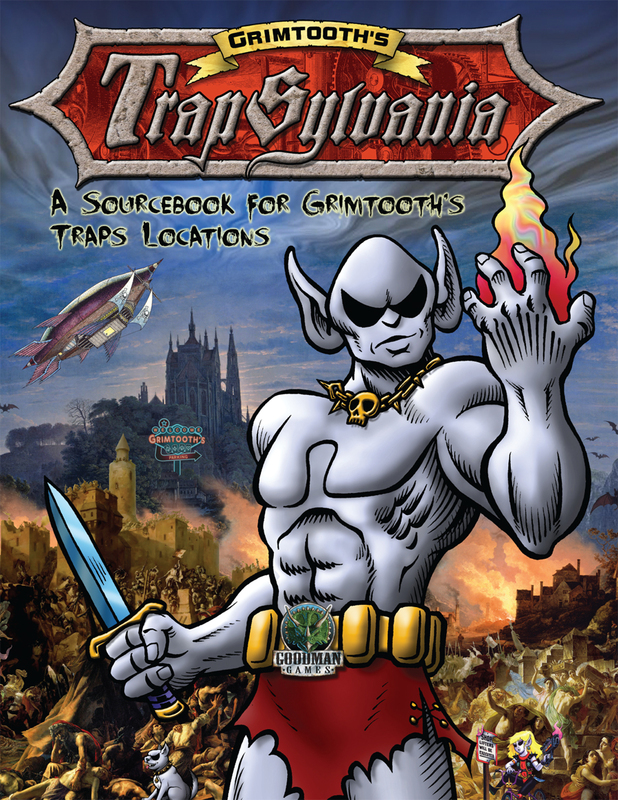 While we recognize that these titles are certainly not for everyone, we do believe there may be some Goodman Games customers who take an interest. 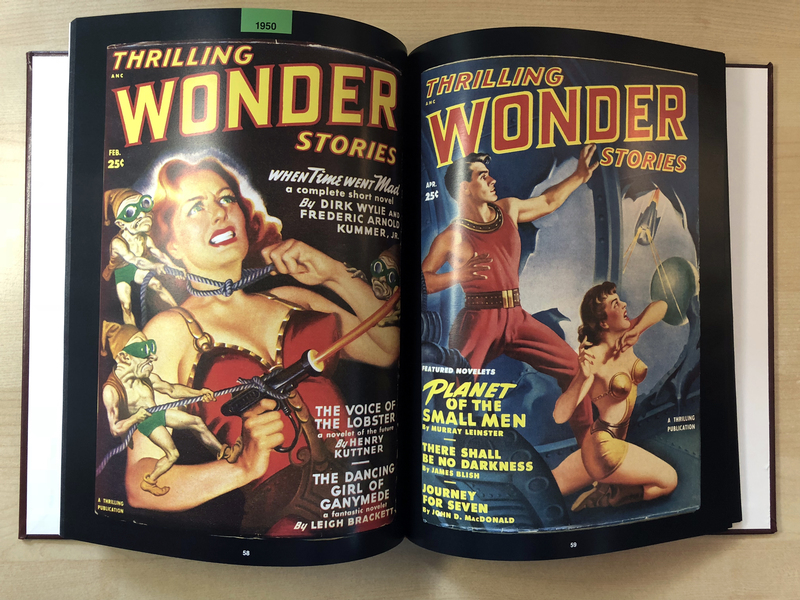 Each book in the Pulp Cover Gallery series was limited to 300 copies. All are numbered by hand, and bound in real leather. All contents are in full color. 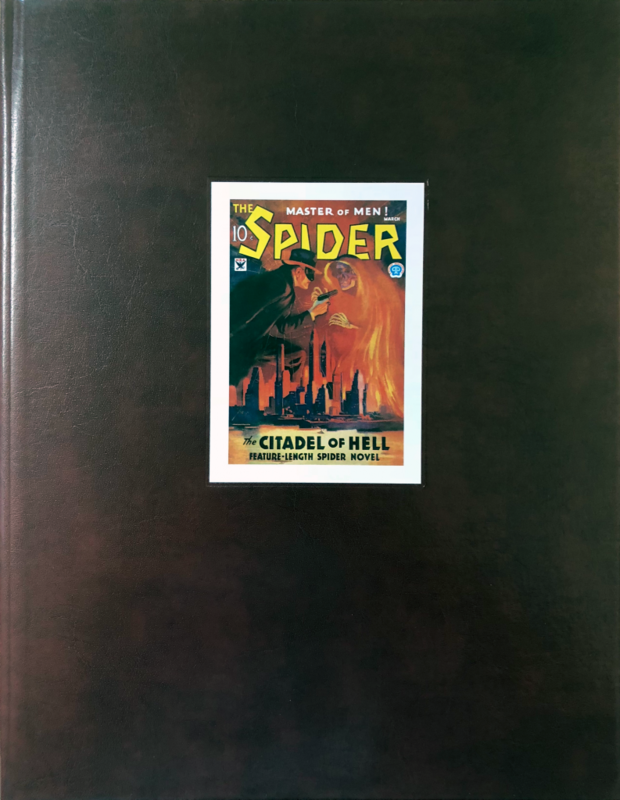 The overs are designed by affixing color stickers to the leather binding, and different stickers were used on the same title, so the copy you receive may have a different cover sticker than the one depicted in the online store. The spines are stamped in gold foil. Please note that these are not gaming books! They are art books. But we sincerely believe they will positively influence your gaming! We have limited copies of the following 5 items in stock. 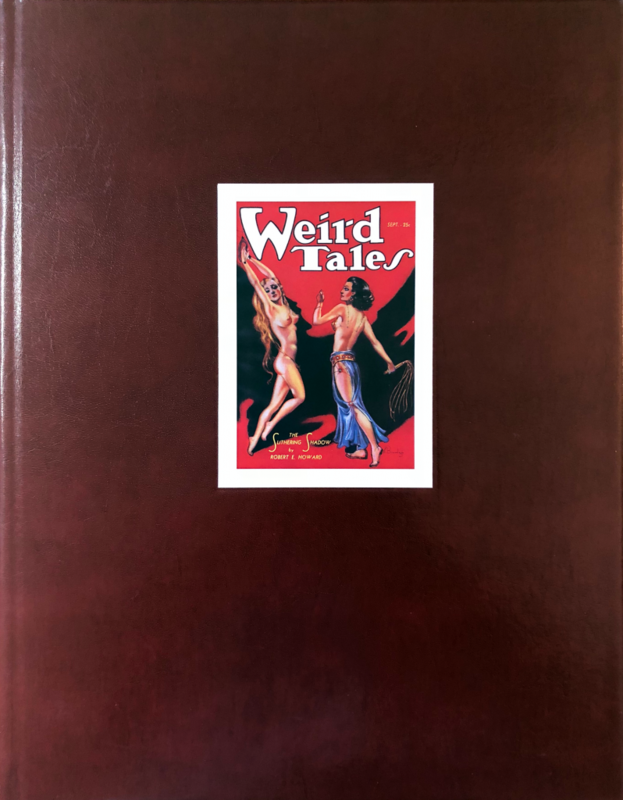 This 133-page volume includes color scans of 279 covers of Weird Tales, all scanned from the original publications. This covers the run from 1923 to 1954. The book includes an introduction by Neil Mechem and a complete index of every issue, its publication date, and its cover artist. The artists featured include “the father of fantasy art” J. Allen St. John, Margaret Brundage (first artist to ever paint Conan), Virgil Finlay, Hannes Bok, Frank Kelly Freas, and many others. All art is in color. Some covers are depicted as a full page while others are galleries of several covers to a page. Only 300 copies of this book were produced. Each copy is hand-numbered. The book is bound in real leather, and the cover features a color sticker which varies from one copy to another. Published by Girasol Collectibles. 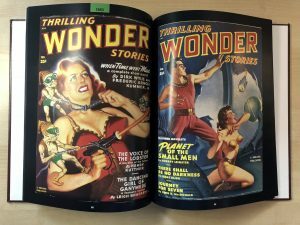 This 138-page volume includes color scans of 111 issues of Thrilling Wonder Stories, 99 issues of Startling Stories, and 17 issues of Captain Future. This covers runs as early as 1936 leading to as late as 1955. The book includes an introduction by Neal Mechem and a complete index of the issues, with publication date and cover artist. The artists include Howard Brown, Earle Bergey, Alex Schomburg, and others. All art is in color. Some covers are depicted as a full page while others are galleries of several covers to a page. Only 300 copies of this book were produced. Each copy is hand-numbered. The book is bound in real leather, and the cover features a color sticker which varies from one copy to another. Published by Girasol Collectibles. 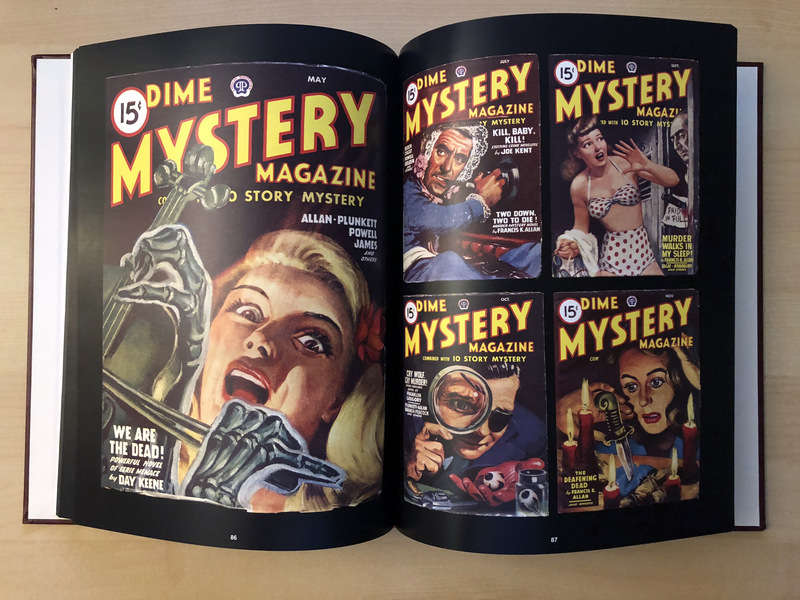 This 139-page volume includes color scans of 154 issues of Dime Wonder, 5 issues of 15 Mystery Stories, and 51 issues of Terror Tales. This covers runs starting in 1932 and ending in 1949. The book includes an introduction by Neal Mechem and a complete index of the issues, with publication date and cover artist. The artists include Walter M. Baumhofer, Tom Lovell, Gloria Stoll, John Newton Howitt, and others. All art is in color. Some covers are depicted as a full page while others are galleries of several covers to a page. Only 300 copies of this book were produced. Each copy is hand-numbered. The book is bound in real leather, and the cover features a color sticker which varies from one copy to another. Published by Girasol Collectibles. 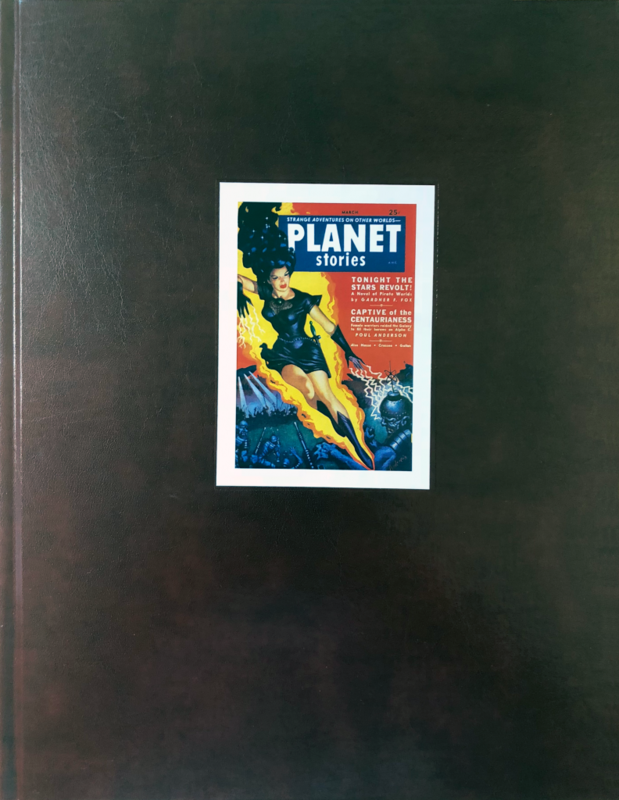 This 136-page volume includes color scans of 129 issues of Fantastic Adventures, and 71 issues of Planet Stories. This covers runs starting in 1939 and ending in 1955. The book includes an introduction by Neal Mechem and a complete index of the issues, with publication date and cover artist. The artists include “the father of fantasy art” J. Allen St. John, Kelly Freas, Allen Anderson, Virgil Finlay, Frank R. Paul, Walter Popp, Frank Novarro, Robert Gibson Jones, and others. All art is in color. 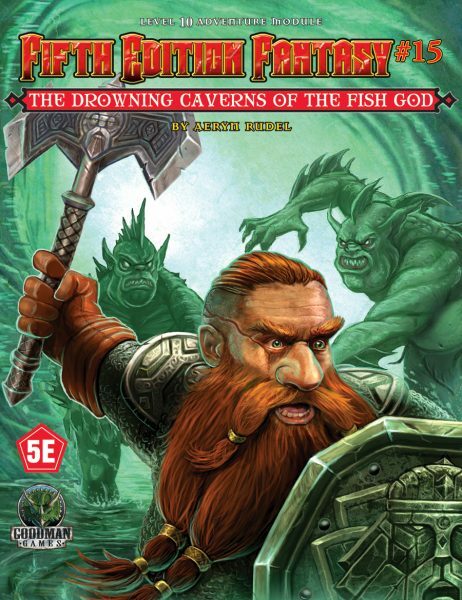 Some covers are depicted as a full page while others are galleries of several covers to a page. Only 300 copies of this book were produced. Each copy is hand-numbered. The book is bound in real leather, and the cover features a color sticker which varies from one copy to another. Published by Girasol Collectibles. This 134-page volume includes color scans of 118 issues of The Spider, 110 issues of G-8 and His Battle Aces, and 48 issues of Operator #5. This covers runs starting in 1933 and ending in 1939. The book includes an introduction by Neal Mechem and a complete index of the issues, with publication date and cover artist. The artists are primarily John Newton Howitt and Frederick Blakeslee, with a number of unknowns as well. All art is in color. Some covers are depicted as a full page while others are galleries of several covers to a page. Only 300 copies of this book were produced. Each copy is hand-numbered. 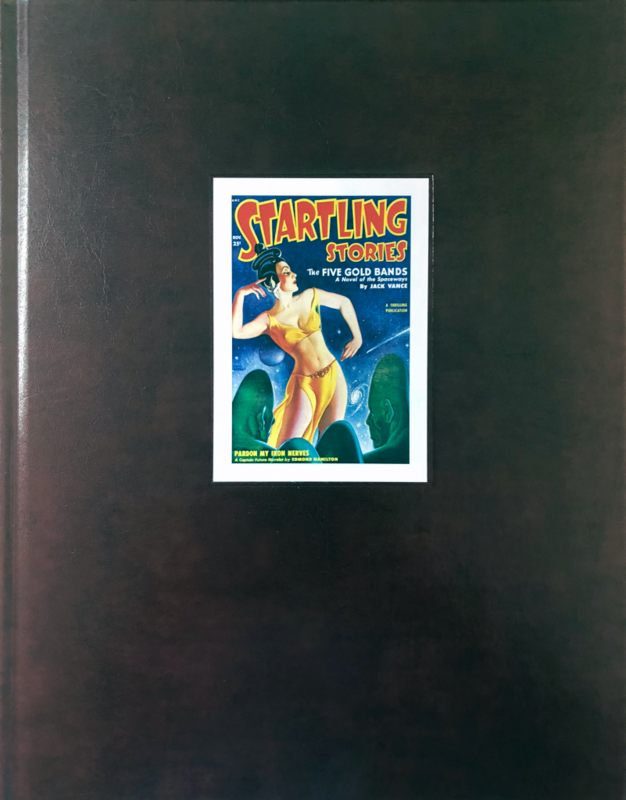 The book is bound in real leather, and the cover features a color sticker which varies from one copy to another. Published by Girasol Collectibles.